Charles O. Zebley, Jr. was born in Uniontown, PA in 1952, the son of Charles O. and Althea Zebley. He graduated from Allegheny College and Duquesne University Law School. He obtained his law degree in 1978, and is admitted to all state and federal courts for Pennsylvania. From 1978 through 1980, Chuck served as a law clerk for Judge Fred C. Adams of the Fayette County Court of Common Pleas. In 1980, he became associated with the law firm of Coldren Adams. After 21 agreeable years working with Ira Coldren and Fred Adams, among other outstanding attorneys, this association amicably concluded in August 2001. On September 4, 2001, Chuck opened Zebley Law Offices in a converted hair salon in Uniontown. The office prospered. By 2004, Chuck had partnered with local attorneys, Mark M. Mehalov and Daniel R. White to form Zebley, Mehalov & White. In the years since opening, Zebley, Mehalov & White has now become a law firm with four attorneys and twelve legal assistants. Chuck is the managing partner of the firm. Chuck belongs to the National Association of Bankruptcy Trustees, National Association of Consumer Bankruptcy Attorneys, and the Pennsylvania Bar Association. He also belongs to several community organizations including the Centerville Borough Zoning Hearing Board. Chuck and his wife attend St. Peter’s Lutheran Church in Uniontown, PA, where Chuck serves as Church Council president. Chuck is an avid fan of the Pittsburgh Pirates. You can find him at PNC Park on the weekends. Chuck is a leading bankruptcy and insolvency attorney for Southwestern Pennsylvania, which includes Fayette, Washington, Westmoreland and Greene Counties. Since 2002, he has served on the panel of bankruptcy trustees for the Western District of Pennsylvania. He has filed over 5,000 cases for debtors and handled over 10,000 cases as trustee. He has also acted as a receiver when requested by the local courts. 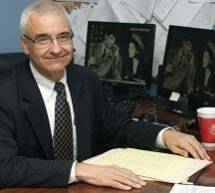 He frequently assists other attorneys with their bankruptcy questions and cases. In addition to bankruptcy, Chuck handles collections, foreclosures, business and commercial transactions, wills, estates and trusts, and real estate matters for the firm. Out-of-town law firms frequently retain Chuck as their local counsel for commercial, collection, and execution litigation.